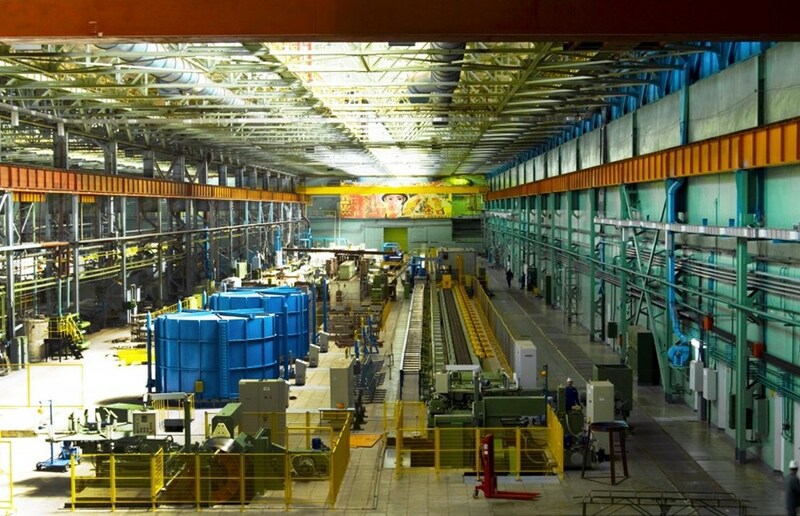 In the last six years, the Chepetsk Mechanical Plant has manufactured approximately 100 tonnes of niobium-tin (Nb3Sn) strand for ITER's toroidal field conductor and 125 tonnes of niobium-titanium (NbTi) strand for the poloidal field conductor. The last batch of Russian-produced superconducting strands for the ITER magnet system was shipped for cabling from the Chepetsk Mechanical Plant (Udmurtia) to JSC VNIIKP (Podolsk) on 3 December. A press release released for the event by the Russian Domestic Agency celebrated the "revival of the country's industrial capacity" in the production of superconducting strands due to participation in ITER. Superconducting strands for ITER are unique composite items consisting of more than 10,000 fine (2-6 microns) superconducting filaments (for reference, the thickness of a human hair is 40 to 110 microns). The superconductor manufacturing line in Udmurtia was created and equipped almost from scratch. In the course of developing the production process, the Chepetsk Mechanical Plant solved many technological and organizational issues. Manufacturing superconducting strand for ITER involves a series of complex operations (assembly, pressing, drawing, rolling, outgassing, purification, etc.) that require absolute accuracy and compliance with technological requirements. From raw materials to the final product, the overall process lasts about nine months. Read the press release from the Russian Domestic Agency in English and Russian.